NIFS managers are gearing up for an exciting week of wellness-based programming at our CCRC client sites across the country. 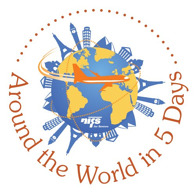 NIFS has coordinated a week’s worth of programs for Active Aging Week and the participating communities will also take part in our Around the World in Five Days competition. Through resident participation, communities will advance to various destination points around the world with the goal of being the first community to visit each location. 1. Seven Dimensions of Wellness: the programs throughout the week encompass elements of the seven dimensions of wellness to broaden the resident experience beyond physical wellness. 2. Resident Volunteers: we have incorporated resident volunteers into the planning to better allow residents to champion and promote the programs. 3. Resident Interests & Abilities: the variety in the programs not only spans varying resident interests but also provides opportunities for residents of all ability levels to participate. 4. Budgetary Support: the programs were designed so communities with minimal financial support for Active Aging Week to still fully participate. 5. 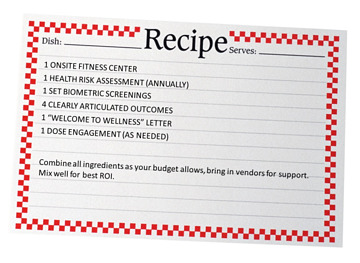 Community Nuance: flexibility was built into the development process to allow the individual community’s flavor and flair to enhance the core program offerings. NIFS fitness managers have been working diligently since early July to prepare for this exciting week of events and we are ready to kick things off! The residents are excited for the new programming opportunities as well as gearing up for the NIFS competition. The expectations are high at each community and we suspect things will really heat up as the week progresses! Follow us on Facebook for updates all week on the status of the competition! Ever wonder what and when you should be eating to optimize performance and energy levels? Numerous resources are available to the general public outlining food and dietary guidelines; however, many people remain unaware as to what types of foods are best to eat and when. Whether working or working out, these guidelines will be useful in helping you plan meals and snacks to increase energy and sustainability. Carbohydrate meals help fuel muscles and prevent depletion of glycogen stores. Glycogen is the body’s main form of stored carbohydrates; it is a main source of energy during work and exercise. You should choose complex carbohydrates like fruits and whole grains to help sustain energy levels for long-duration activities. Try to avoid high-sugar foods such as soda and candy, as these cause high peaks in blood sugar and tend to give you a quick burst of energy that soon fades away. Watch high-fat foods—they are hard to digest and may cause an upset stomach during high-intensity exercise. In comparison to carbohydrates, high-fat and high-protein meals take longer to digest and therefore require more energy for their breakdown. Try to have a meal with complex carbohydrates four hours prior to exercise and a small snack one or two hours before exercise. Whole-grain cereals, yogurt, whole-wheat pasta, fruit, whole-grain bagels, oatmeal, raisins, some energy bars (check that they are not too high in fat or protein). Your muscles need to recover after exercise, as this is when your metabolism is at its peak. 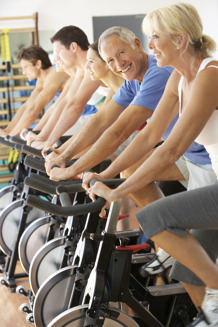 Refueling should begin within 30 to 45 minutes after exercise to restore glycogen and repair muscle tissue. Carbohydrates and protein will enhance the process of rebuilding and repairing muscles. 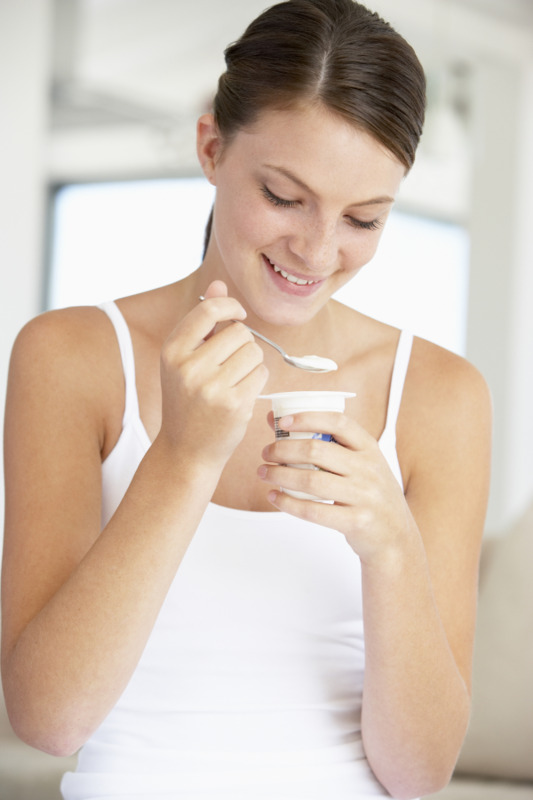 String cheese and a piece of fruit, peanut butter and jelly on whole-grain bread, yogurt, cottage cheese and fruit, soup, nuts (raw, unsalted are best), whole-grain cereal with reduced-fat milk. Remember to stay hydrated! Dehydration slows your metabolic rate by 2% and can also leave you feeling sluggish. Feel your best by drinking at least eight to ten 8-ounce glasses of water daily!